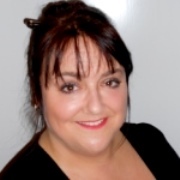 A CIPD qualified HR & Training Consultant, Claire has over 20 years working in the HR and Training field, predominantly in the travel and tourism industry. This includes seven years as Head of HR for the Travelbag Group and since 2004 as a freelance consultant working with a variety of clients including ABTA – the Travel Association, Elman Wall, Qatar Airways, Feefo, Baxter Hoare, lastminute.com and Mystical Tours. Claire has been a member of the board of The Institute of Travel and Tourism (ITT) and Chair of ITT’s Education and Training Committee since 2005. The Institute of Travel and Tourism (ITT) manages GTTP UK as part of its work with young people seeking careers in the industry. The ITT is the UK’s professional membership body for individuals employed in the travel and tourism industry. Established in 1956, the ITT is committed to raising professional standards within travel and tourism through links with education and industry. One of the ITT’s principal objectives is to raise and maintain professional standards in the industry. ITT provides support and guidance, together with guidelines for the formal recognition of individual progress. ITT shows its commitment to careers and education by recognition of good practice, student awards, consultancy and much more. For more information visit www.itt.co.uk. Claire’s role at the ITT involves leading on a number of initiatives, including the ITT endorsement of training programmes, industry recognition of University and College Tourism Departments, the Future You Student Conferences, ITT Graduate Scheme and the ITT annual Student Awards. She was heavily involved with the development and launch of the Diploma in Travel and Tourism. She also worked closely with the Diploma Development Team on Employer Engagement across the sector as well as the Schools Network on Diploma Delivery, providing training on diploma delivery and the sector to practitioners across England. Leading organisations including TUI (UK), ABTA, Merlin Entertainments and People 1st are represented on the Advisory Board for GTTP UK.